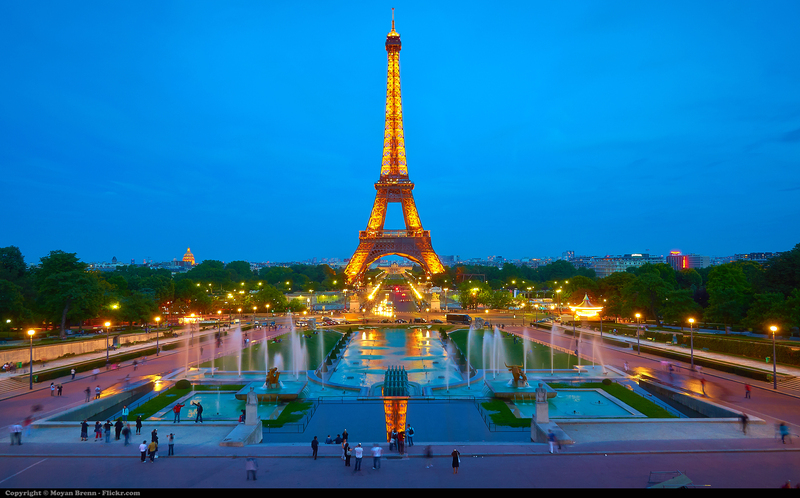 The Eiffel Tower, an iron lattice tower, was built in Paris on the Champ de Mars to serve the purpose of the entrance of the World’s fair in 1889. The purpose of building the Eiffel Tower was also to celebrate the 100th anniversary of the French Republic. In French, the tower is known as La Tour Eiffel. La dame de is another name which means the iron lady. 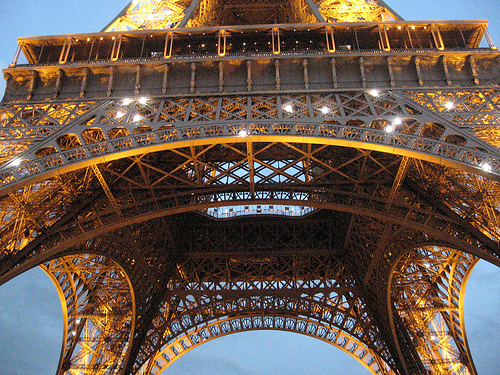 It is named after Gustave Eiffel whose construction company both designed and built the tower. Gustave Eiffel is the designer of the Eiffel tower. Gustave Eiffel is the man who also designed the metal framework of the famous Statue of Liberty. The Construction of Eiffel Tower took 2 years, 2 months and 5 days in total. The construction started in February 1887 and ended on March 31, 1889. A total of 132 workers assembled 18000 iron pieces on the Eiffel Tower. The total weight of the Eiffel tower is believed to be 10,100 tons. It was the tallest structure in the world for 40 years until 1929. The tower is still the tallest structure in Paris. The height of Eiffel Tower is 1063 ft (324 metres). Its base is a square, every side of which is 410 ft (125 metres). On an average, about 7 million visitors visit Eiffel Tower every year and around 75 percent of the tourists are foreign visitors. In 2010, the tower had its 250 millionth visitor. Currently, the Eiffel Tower is the most visited paid monument in the world. More than 25000 people ascend this famous tower every day. One of the many interesting Eiffel Tower Facts is that the tower was lit by gaslights until 1909. Currently, the tower has 20,000 light bulbs, 5000 per side. One of the surprising Eiffel Tower Facts is that it is considered illegal to capture photos of Eiffel Tower at night as its light display is considered an artwork which is protected by copyright law. To reach the top of the Eiffel Tower, you have to climb 1710 steps. The first and second levels are about 300 steps each. Unfortunately, visitors are allowed to use the stair till the second level. There are stairs in the third level but visitors are not allowed to climb those stairs. 10. Eiffel tower has been used as a vital communication link from the beginning. In WW I, the tower relayed zeppelin alerts. The Nazis sent coded messages from the tower. Currently, it has 120 antennae. 11. Not everybody liked the structure and construction of the Eiffel Tower. The most people who opposed or criticized the idea of Eiffel tower thought it was not feasible to build such a huge structure. Gustave Eiffel responded to the critics citing the construction success of Egyptian Pyramids. 12 The color of the Eiffel Tower has not been the same over the years. It is repainted every 7 years. It takes about 60 tonnes of paint to paint the tower. 13. 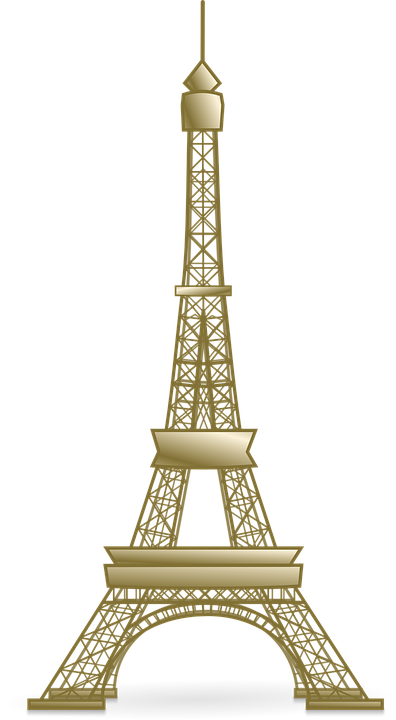 In 1905, an Eiffel Tower stair climbing championship was arranged by a local newspaper and someone named A M. Forestier won the competition reaching to the second level in just 3 minutes and 12 seconds. 14. The names of a total of 72 scientists, mathematicians, engineers are engraved on the side of the Eiffel tower, each of whom directly contributed to the construction of the tower. 15. A small apartment in the third floor was kept by designer Gustave Eiffel to entertain his friends but it is currently open for visitors. 16. The structure of the tower got so popular that it has been imitated around the world. Three of the most known imitations of Eiffel Tower are found in Las Vegas, Shenzhen and Tokyo. 17. One of the lesser known Eiffel Tower facts is that from 1925 to 1934, the tower was used as a giant billboard by French car manufacturer Citroen. That is recorded in the Guinness Book of Records as the biggest advertisement in the world. 18. There are restaurants on the first and second levels of the Eiffel Towers for the visitors. 19. One of the interesting Eiffel Tower facts is that the tower sways 2-3 inches in the wind. 20. The cost to get to the top of the Eiffel tower by lift is €17. Fees are less for disabled persons, groups and children. 1 Comment on "20 Wonderful Eiffel Tower Facts You Should Know"
I always enjoy learning history. Thk you for a good read.